New Delhi, February 1: India and Algeria are cooperating in space, defence and civil nuclear energy. The President invited Algeria to consider investments in oil reserves, refineries and LNG terminals. 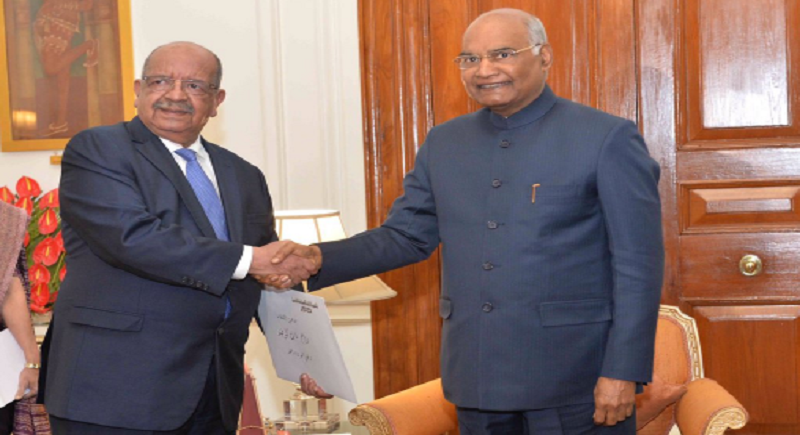 Foreign Minister of Algeria, Abdelkader Messahel, called on President Ram Nath Kovind yesterday. 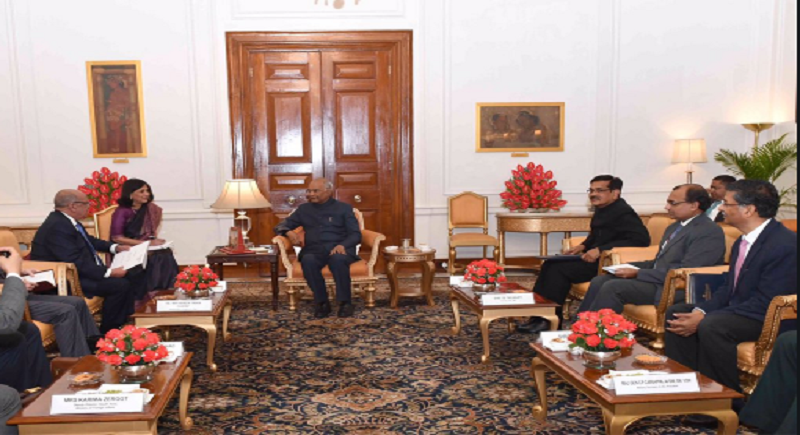 Ahead of delegation level talks External Affairs Minister Sushma Swaraj welcomed Foreign Minister of Algeria Messahel Minister of External Affairs. This is the first visit from Algeria at the level of Foreign Minister in over 20 years. 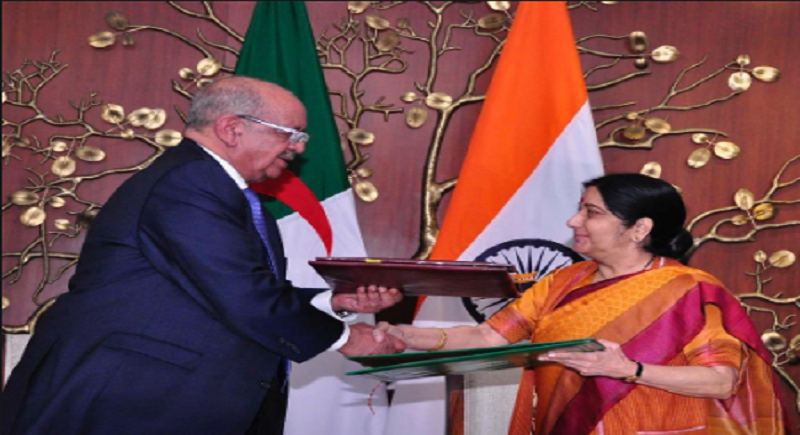 Extending cooperation to strategic areas Sushma Swaraj & Algerian Foreign Minister Messahel held productive talks on cooperation in sectors such as trade & investment, space, defence, hydrocarbon resources, mining, fertilizers, as well as regional & global challenges. India provided Algeria with US$1 million as humanitarian aid for "the victims of the earthquake which struck Algeria in May 2003. Medicines worth half a million US dollars were handed over in April 2004 and the balance in the form of construction steel for the houses for the victims was handed over in October 2006." The Indian Space Research Organisation, the Indian Government's main space agency managing the Indian Space Programme, launched the Algerian Satellite Alsat 2A into the orbit in July 2010.